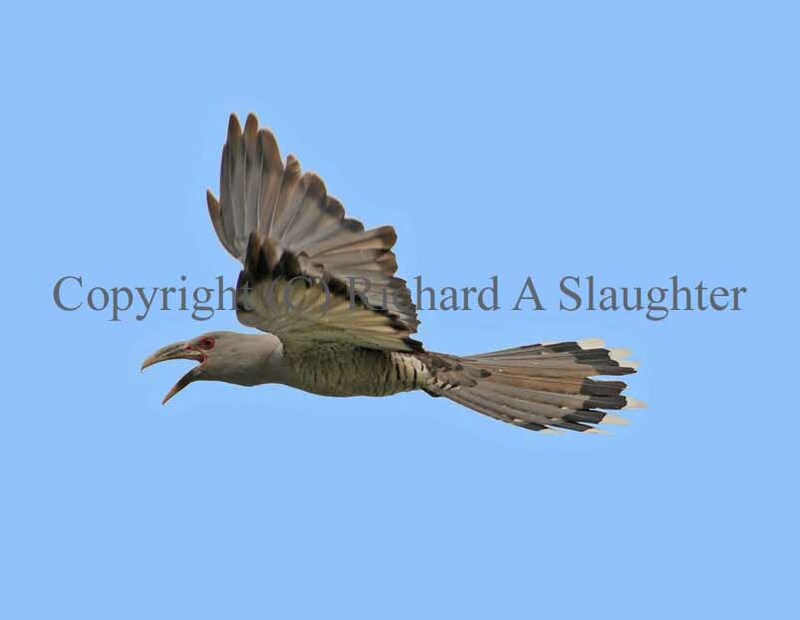 One of the most impossible-to-miss bird species in our area is the channel bill cuckoo. 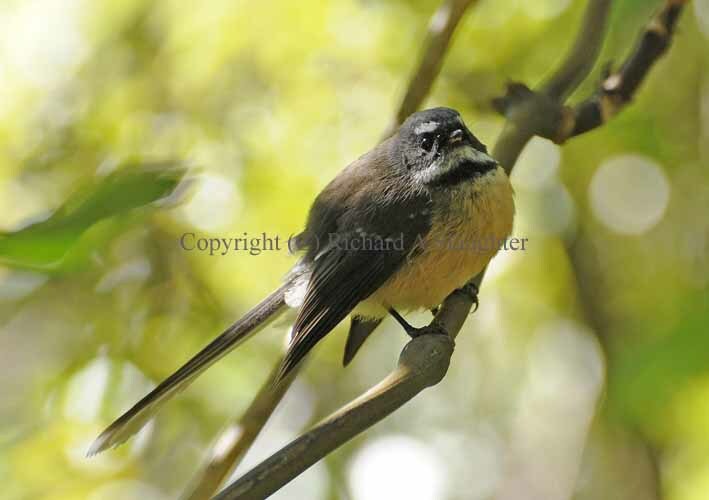 They arrive in force during early summer from PNG and can be heard from well before dawn screeching around the treetops. 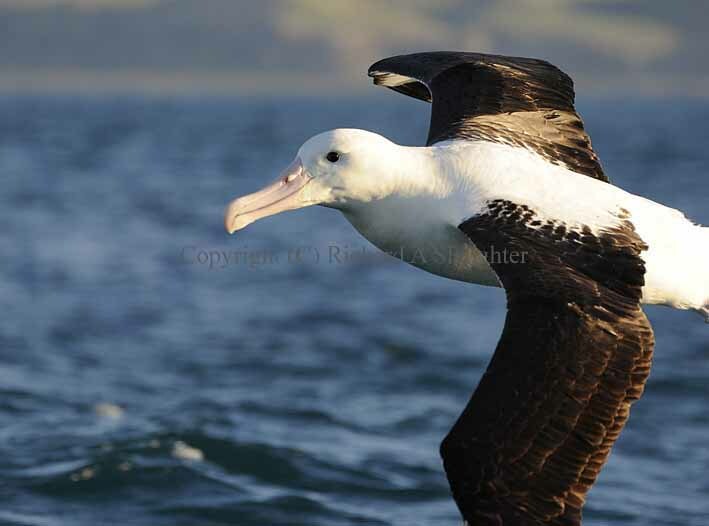 They are boisterous, aggressive, noisy birds and strong, rapid fliers. 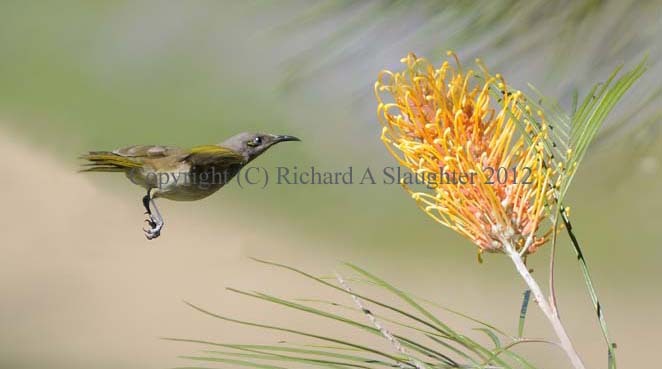 Since they parasitise the nest of crows and currawongs it’s not surprising that the latter can often be seen chasing them away. I’ve also seen the cuckoos sitting completely still within the forest canopy apparently searching for nests that may be suitably colonised. 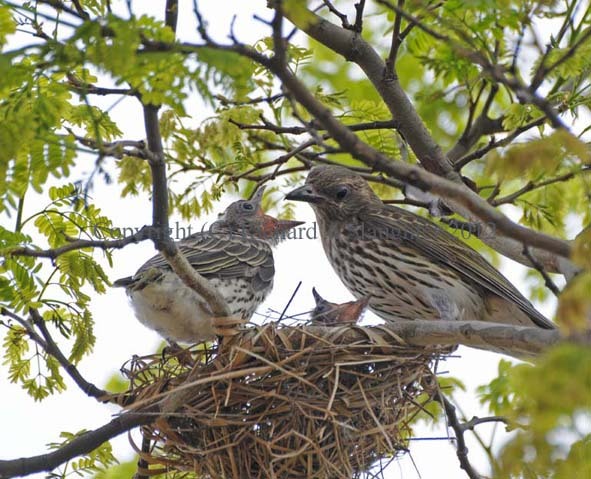 One of these shots shows an adult in full voice as it passed overhead; the other is a juvenile begging its foster parents for food. 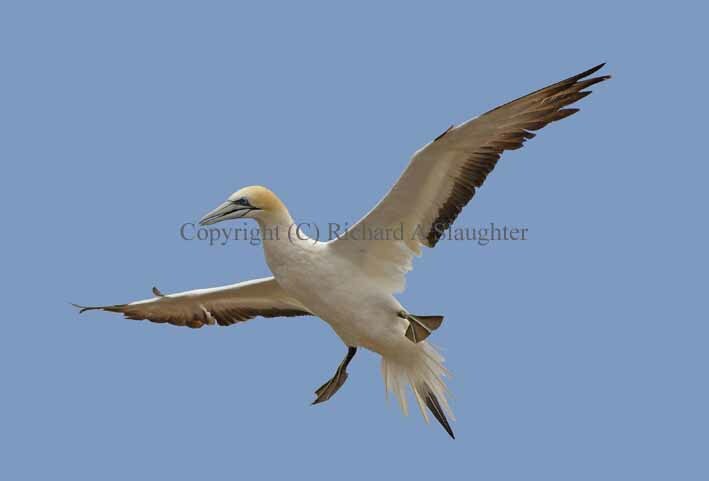 When ready the young birds head north to continue the age-old cycle. 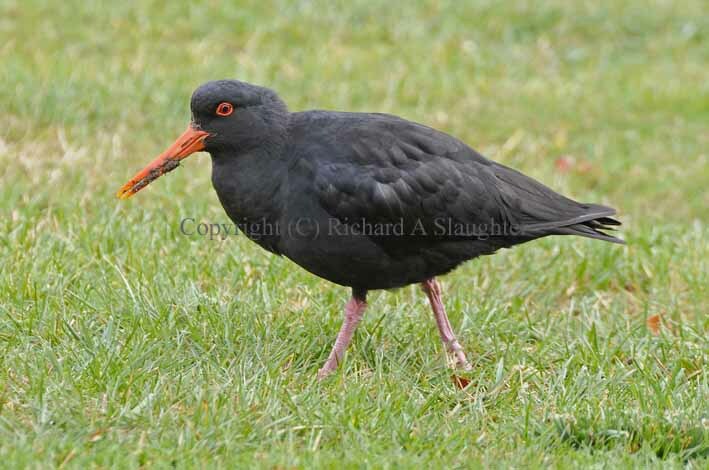 While in New Zealand we managed to visit some world class birding areas. 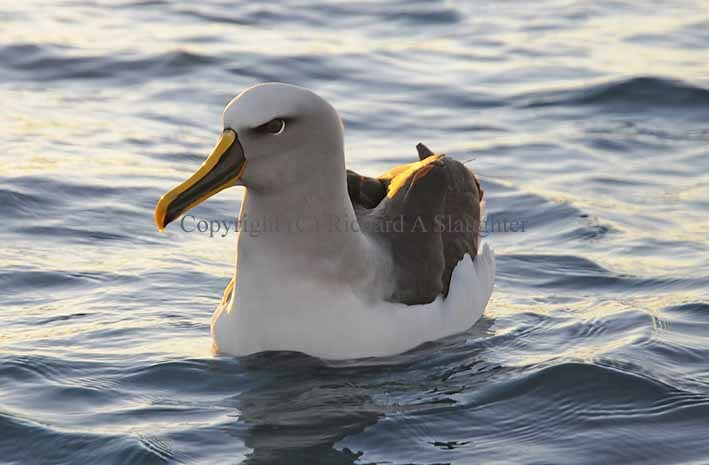 These albatross pictures were taken from a boat off Kaikoura on the South Island. We rose in the dark and were out on the open ocean before dawn. 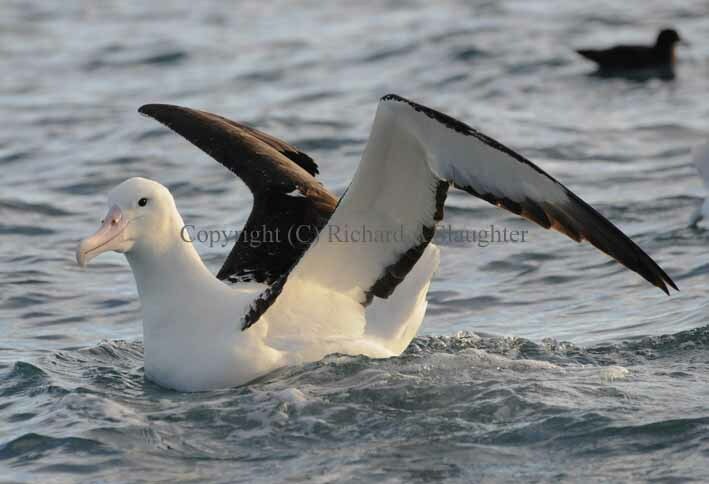 A small cache of fish livers was set out behind the boat and in no time at all several species of albatross arrived to sample it. Apparently the birds consider this food a delicacy and, indeed, some of the more dominant among them did not shirk from seeing off rivals. 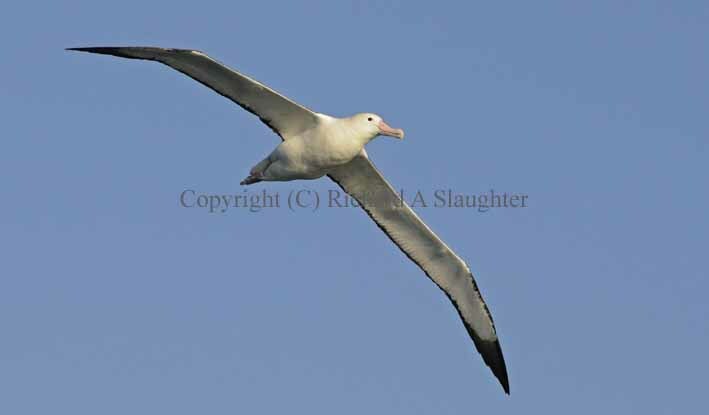 The albatross, in turn, were out-numbered by the much small cape petrels, of which there were maybe two dozen. 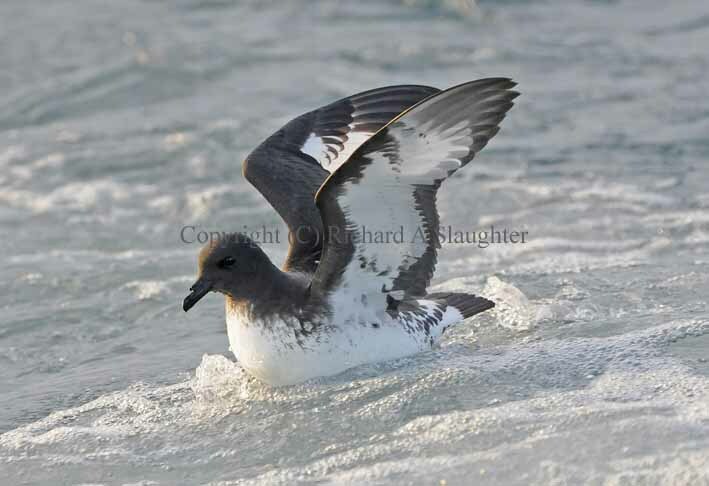 On the second trip out I was able to catch some of them landing in the water. 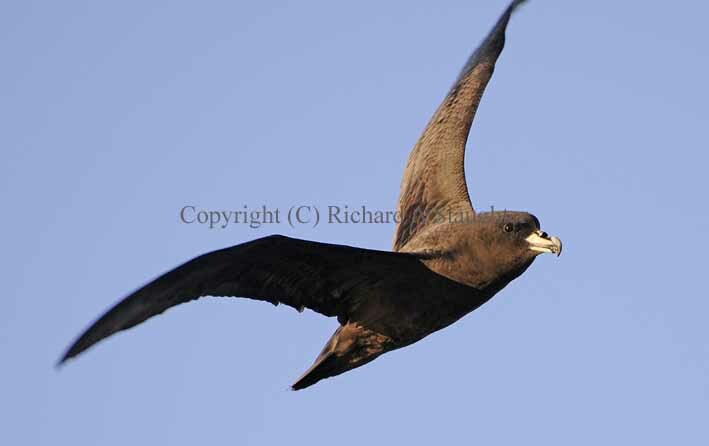 A black petrel also made several passes overhead. 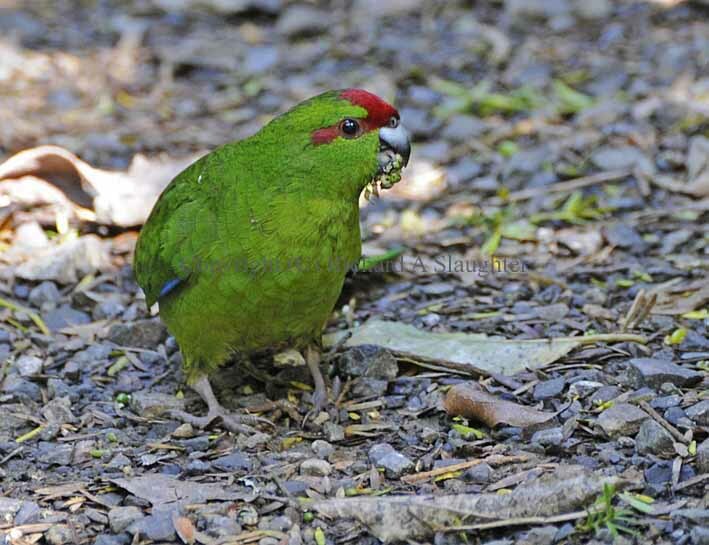 A short visit to the Mount Bruce Sanctuary north of Wellington yielded some pictures of this very friendly Kokako and the Red Crowned Parakeet, both of which are extremely rare nowadays. 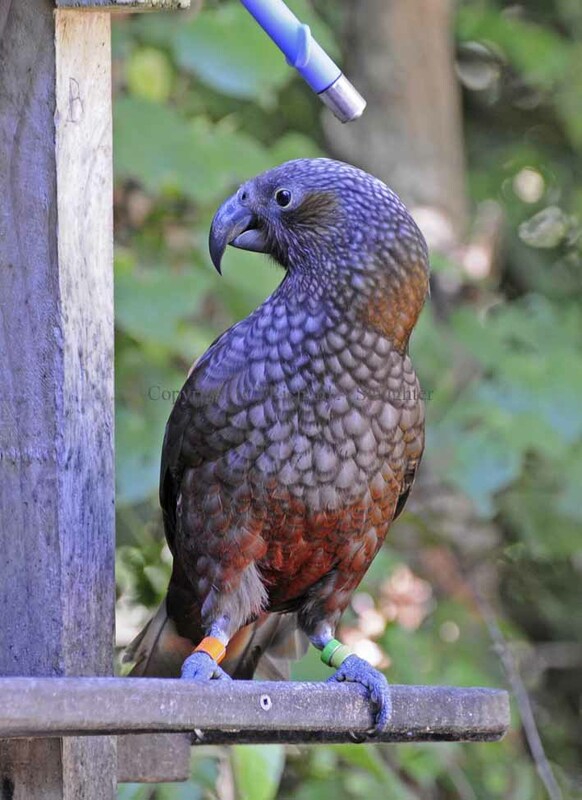 We were delighted with the Karori Wildlife Sanctuary on the outskirts of Wellington. 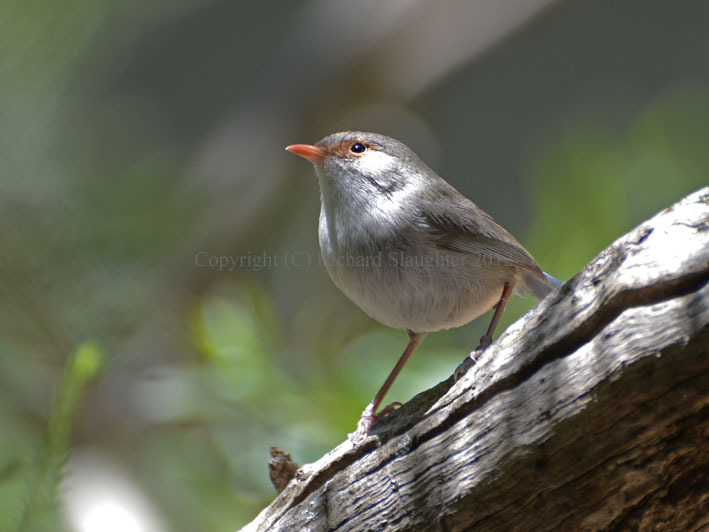 Here a predator proof fence was installed some years ago and, as a result, many native birds can again be found in their natural habitat. 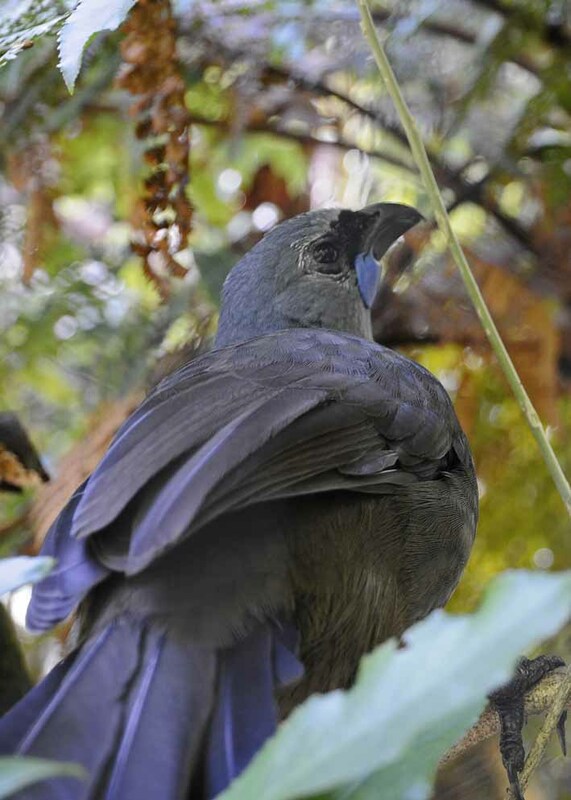 Here can be seen: Kiwi, Saddleback, Stitchbird, Tuatara and the sturdy Kea parrot, pictured here at a specially designed feeding station along with a resting fantail. Finally, near the end of our trip we drove through strong blustery winds and the occasional shower of sleet around the high ridges of a vast extinct volcano on the picturesque Banks Peninsular. 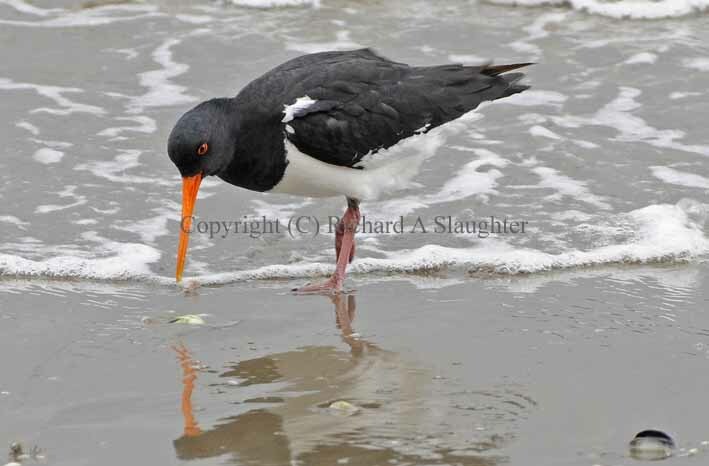 Then in the small town of Akaroa we found not one but two species of oystercatcher within camera range: the pied and black varieties. 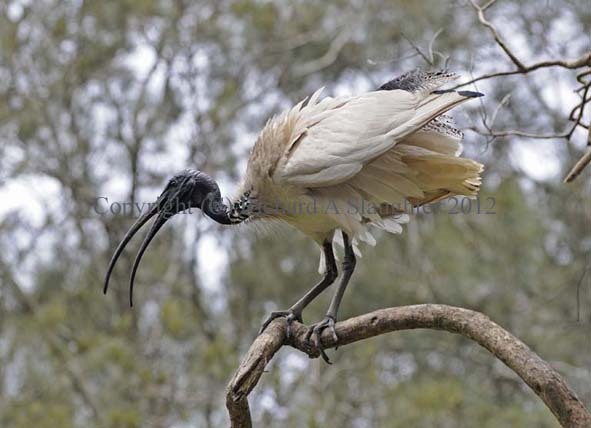 The images below were taken at a friend’s farm in the countryside north of Maleny in Queensland. 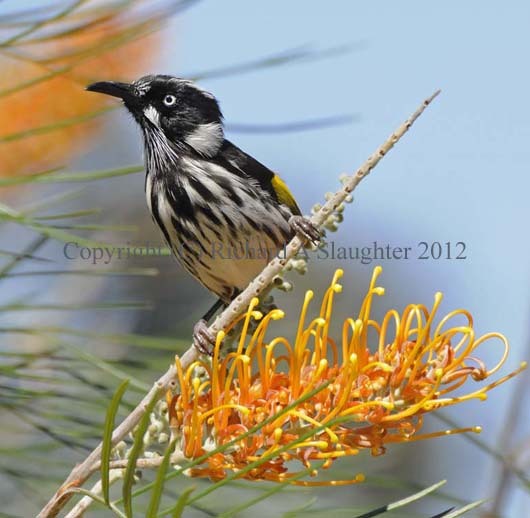 A yellow Grevillea planted a couple of years ago had grown to a height of perhaps three metres. During a recent visit the shrub was the focus of intense activity. A rather shy Little Friarbird took up almost full-time residence. 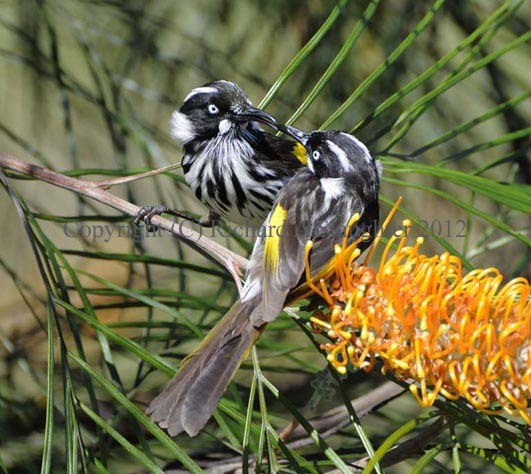 Several New Holland Honeyeaters made constant visits. 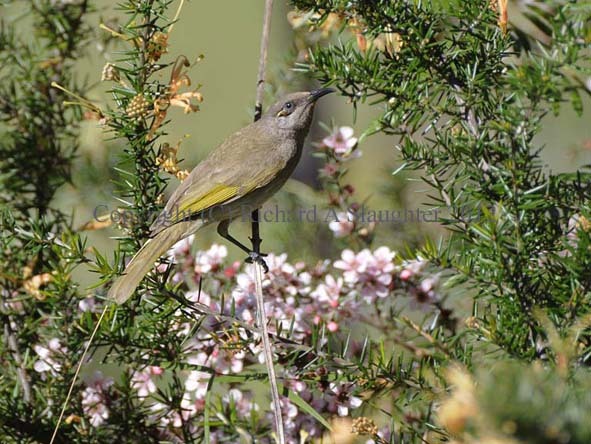 A lesser number of Brown Honeyeaters would also fly in regularly. 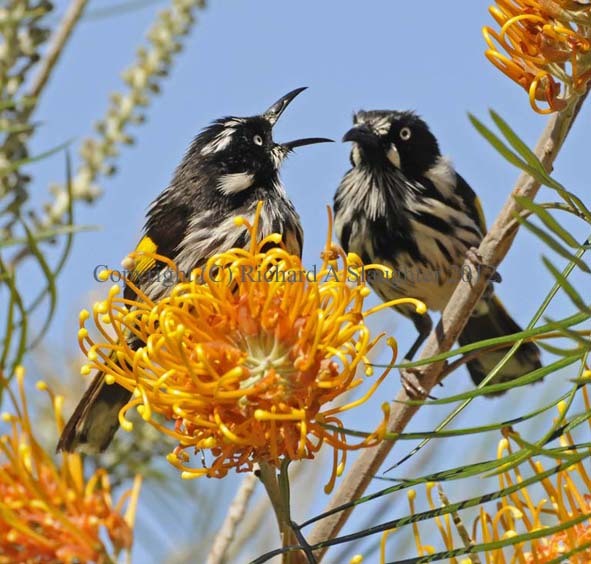 The latter were not only drawn to the Grevillea itself – where I captured this rare in-flight shot – but also to the native plants below where they occasionally hovered like hummingbirds. I spent the greater part of two days edging closer. 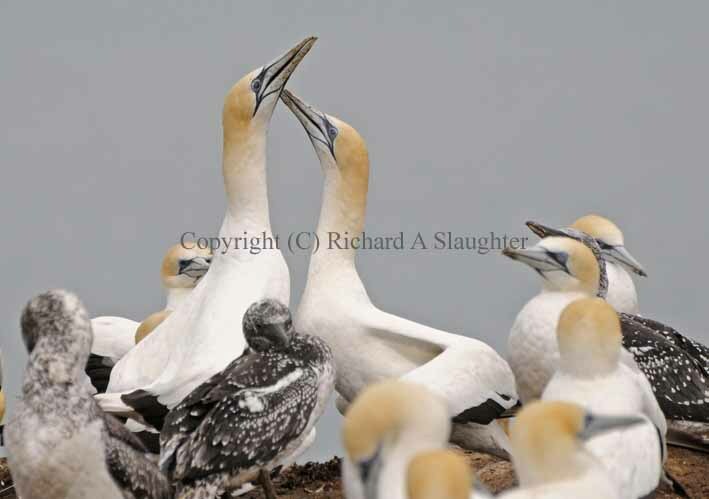 By the afternoon of the second day the birds were used to my presence and I was able to get very close indeed without a hide of any kind. 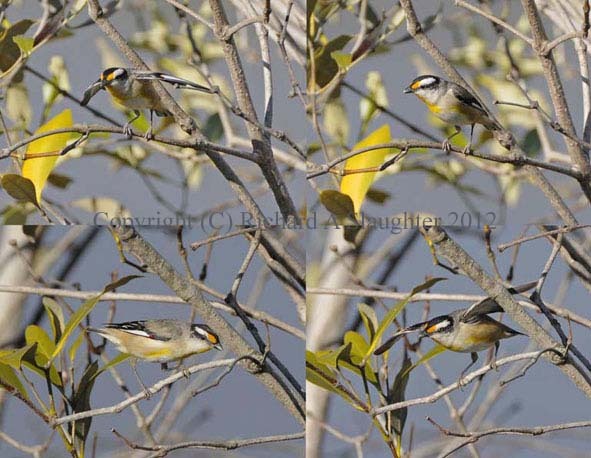 This composite image of male Pardalotes was taken near a golf course that had been flooded. 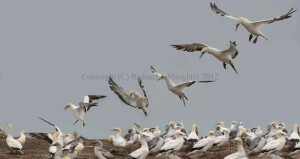 The birds are not taking off here but displaying. 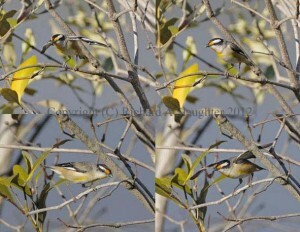 Though small they are very handsome looking birds, particularly when seen through binoculars or a telephoto lens. 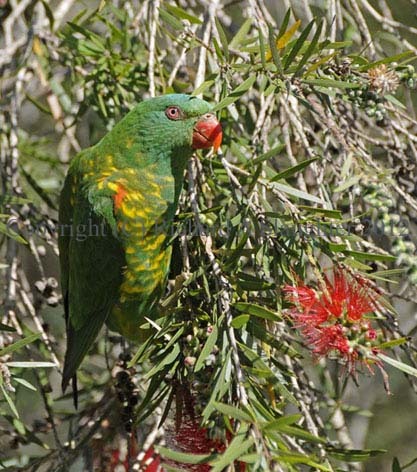 Rainbow Lorikeets often capture the attention of visitors and locals alike but a close look at their smaller Scaly Breasted relatives shows them also to be quite striking as well as extremely agile. 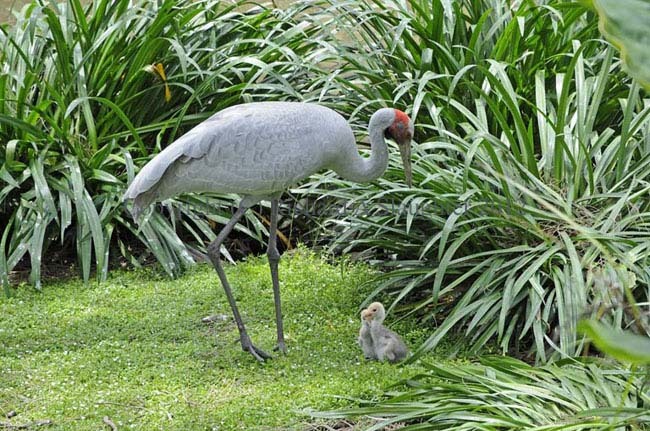 Their coloration matches that of some types of vegetation, so that at times they seem almost to disappear. While my wife dutifully attended a seminar on the Gold Coast I took off to the nearly David Fleay Wildlife Park. As I arrived early morning the whole area was deserted and I was able to have an undisturbed look around. 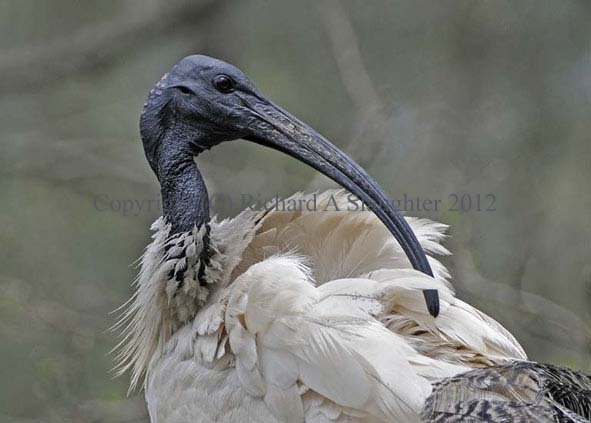 Not everyone in Australia considers Ibis to be attractive as in many city areas, and through no fault of their own, they’ve become identified as scavengers. Here an elevated path took me to the same level where this bird was preening and I caught this shot of it in expressive mode. 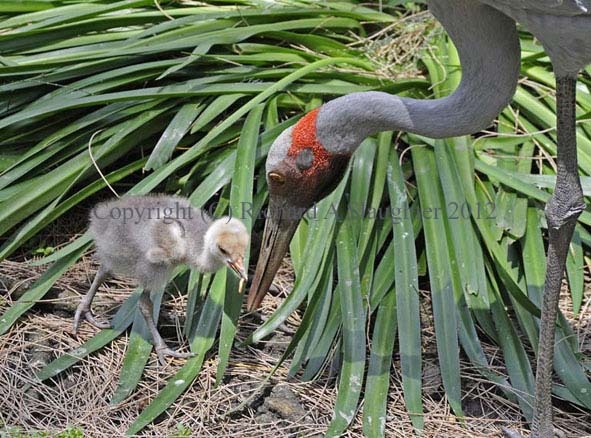 Nearby a pair of majestic Brolga could be seen taking close care of two small, recently hatched, chicks. 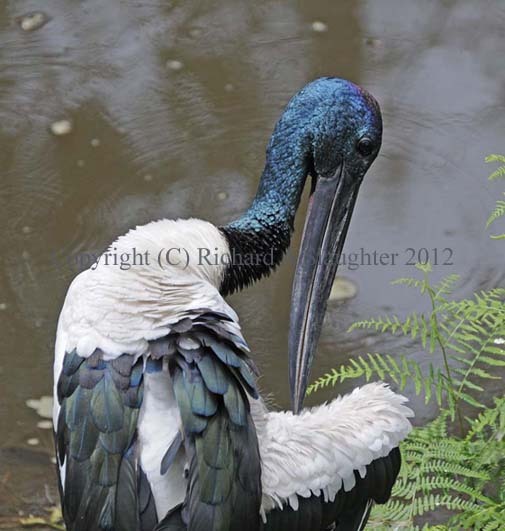 The other two pictures here are of a Jabiru Stork also hard at work preening. 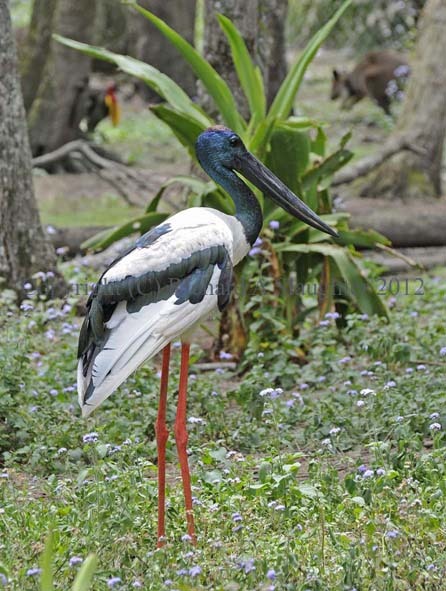 Both Brolga and Jabiru are normally seen much further away, particularly in the coastal plains of the northern territory and Kakadu National park. But they seemed very much at home here. 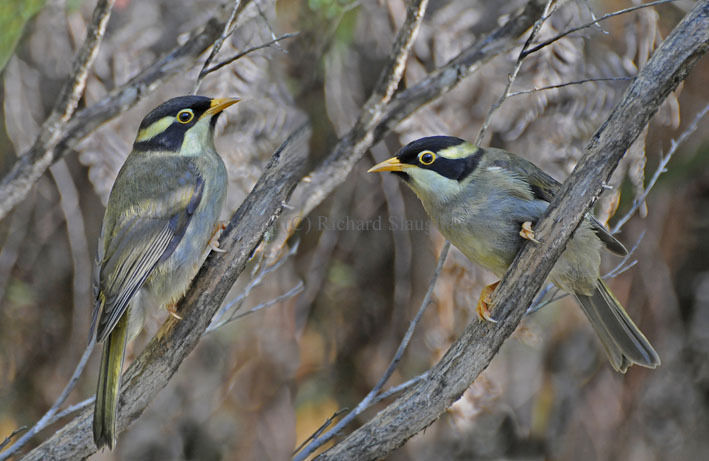 Fig Birds seem to have adapted well to suburban landscapes. 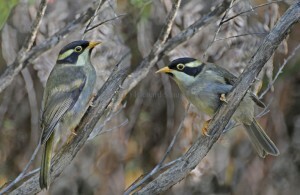 They are plentiful in Brisbane and their calls are part of the usual soundscape, particularly in Spring and Summer. 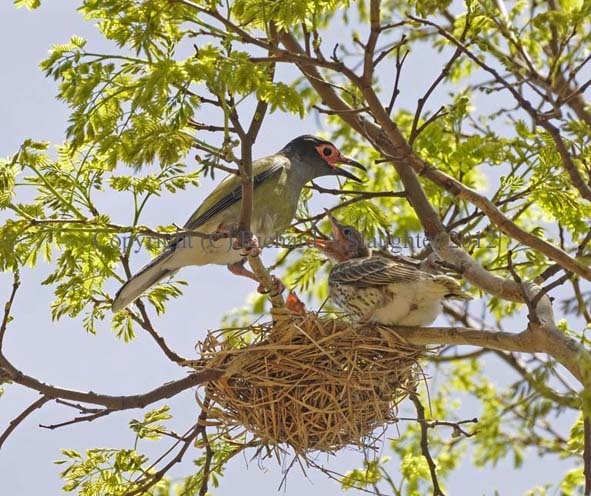 This pair had constructed their typically minimal nest above the pavement on a busy street near Indooroopilly train station. 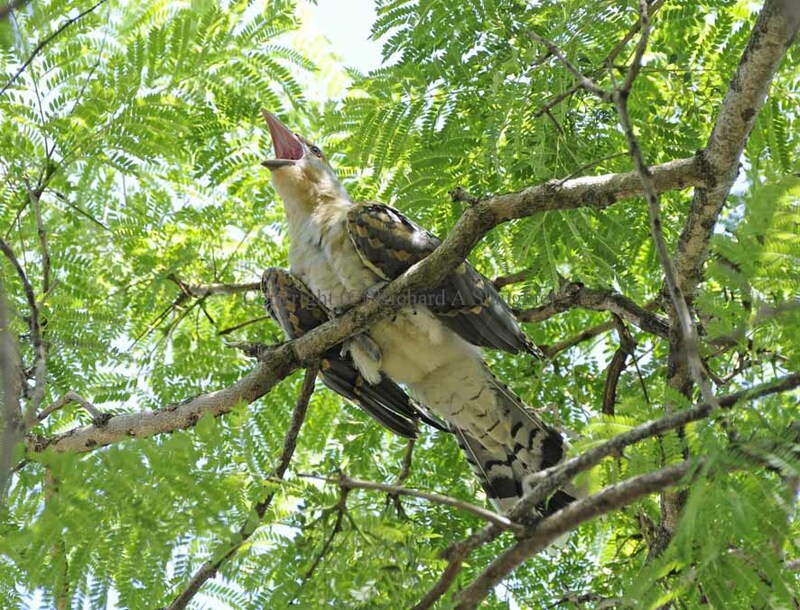 Even though the tree they chose lost its leaves for a while (providing passers by with better views), and despite the constant din, they successfully reared two chicks. 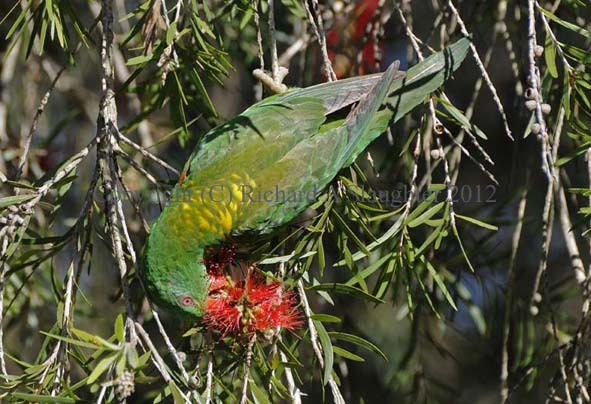 A trip to Tasmania early in 2012 yielded some first class birding and some memorable moments, four of which are represented here. 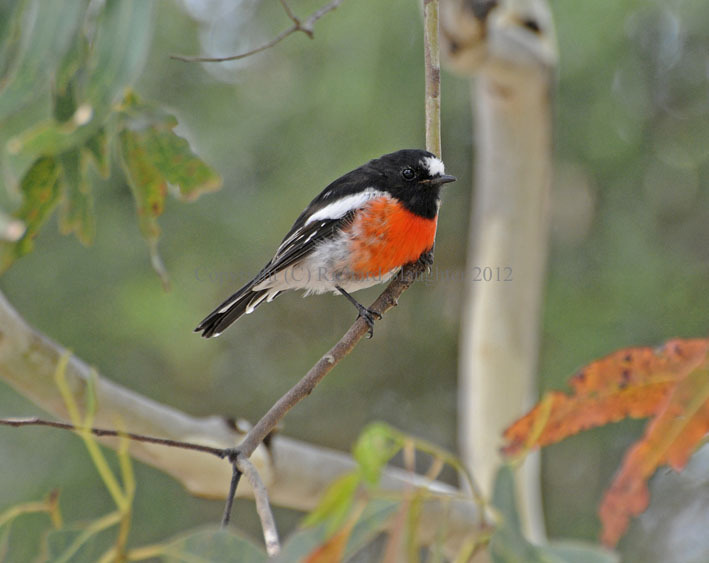 First a fine Scarlet Robin near our digs on Bruny Island. 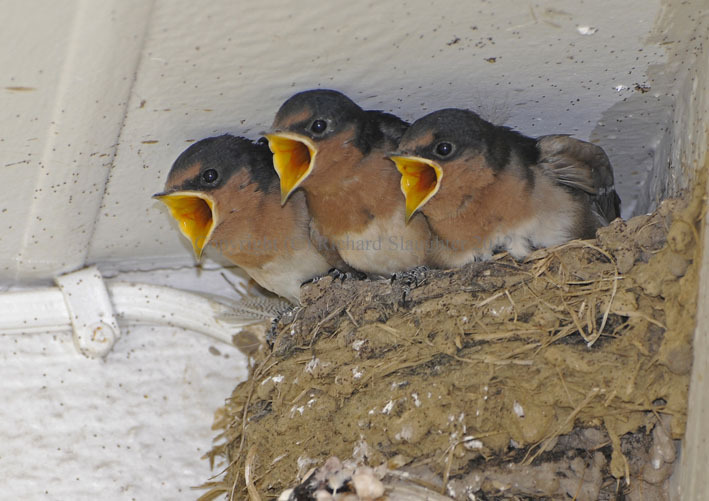 Next a trio of Swallow chicks who, on hearing their parent’s ‘chip, chip’ calls on approaching the nest, all moved in unison to claim the next feed. 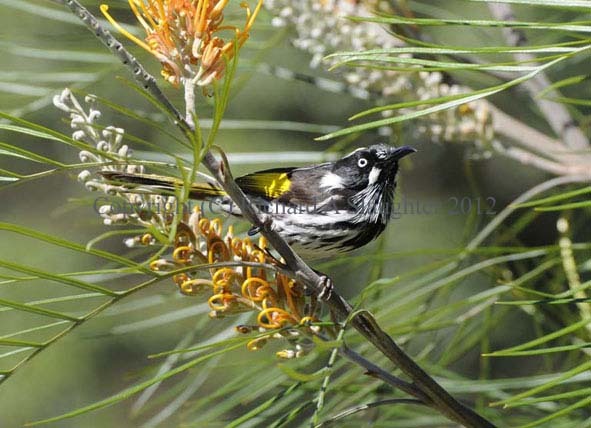 Finally, a Strong Billed Honeyeater who perched close by to drink without any concern for the humans nearby. 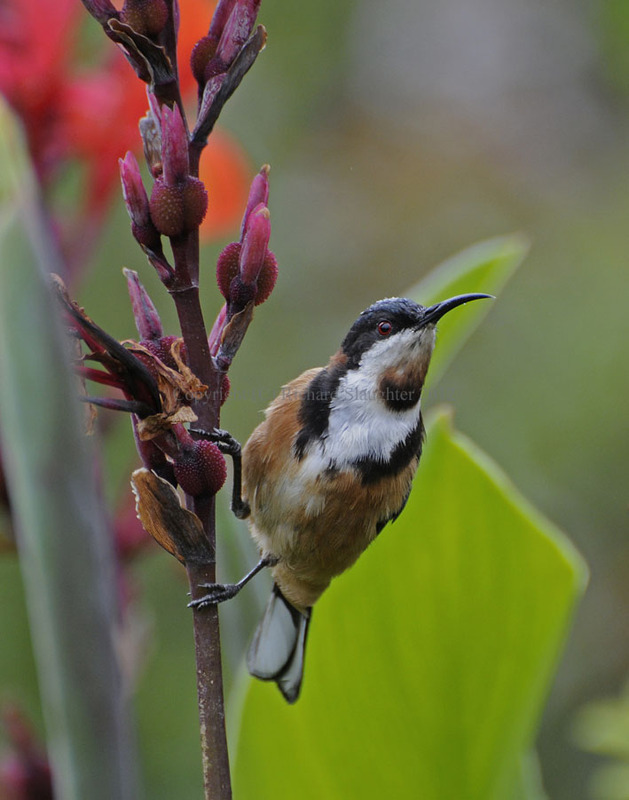 Then in nearby Port Arthur we spotted an Eastern Spinebill feeding on flowers in the formal gardens. 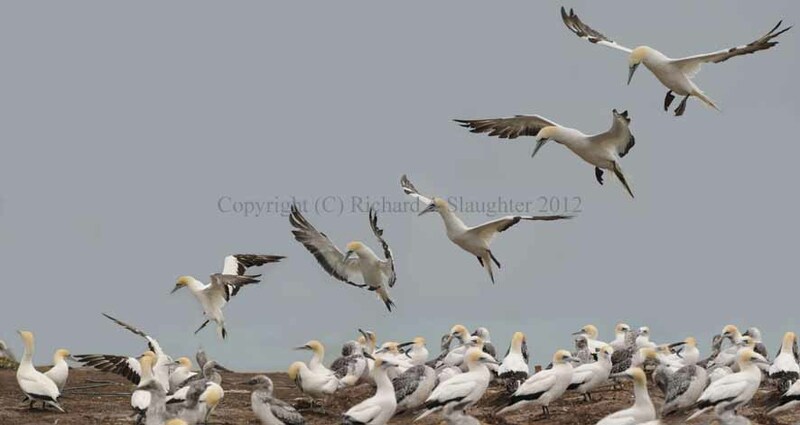 Despite far from optimum weather (it was overcast, with showers) and the presence of tourists, I was able to obtain some fine pictures of these beautiful birds in action. 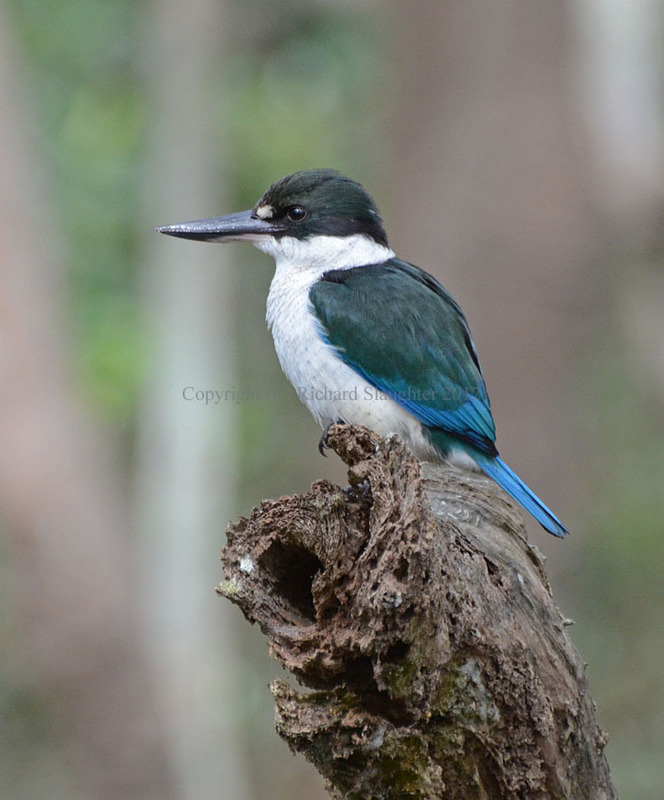 Also here is a Collared Kingfisher taken from the Wynnum boardwalk. Later in the year we visited Surfer’s Paradise for some whale watching. 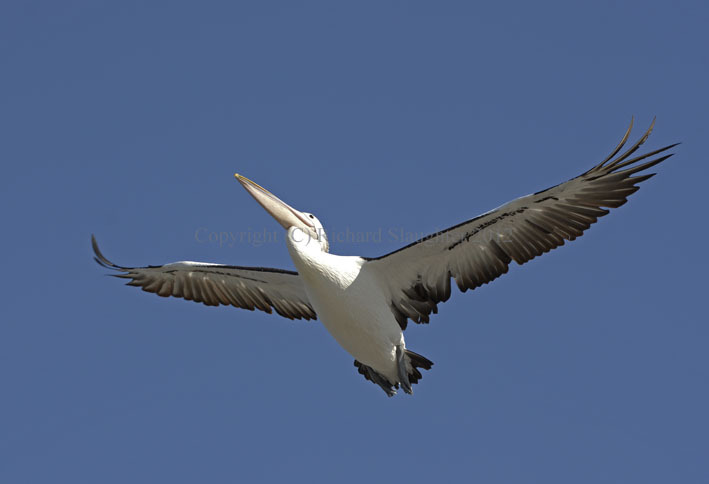 We were not only rewarded with some lovely views of Humpback Whales but also some amusing moments with the local Pelicans who had lined up by a seaside fish shop. 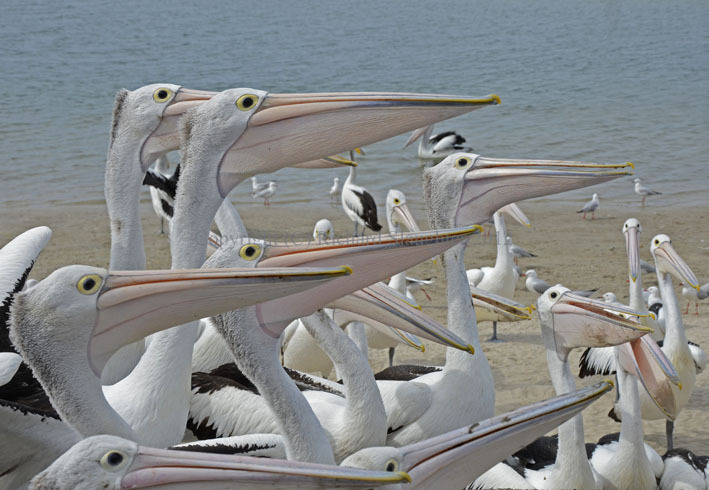 Clearly the birds knew what to expect – a free feed of fish scraps. There were perhaps 50 birds there and about the same number of humans as well. In November I flew to Perth for a conference and took a chance for some brief forays out with my camera. 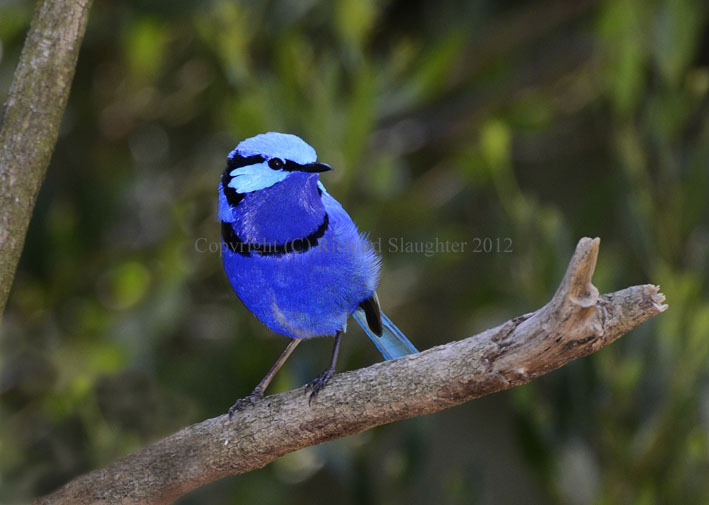 Of all the pictures I took I was most pleased with this pair of Splendid Fairy Wrens who are among the most brightly coloured and attractive small birds anywhere.